I remember talking to a colleague about the role of time-limited counselling and, in particular, the popular six-session model used by many providers of Employee Assistance Programmes (EAPs). My colleague’s thoughts towards this model of working were scathing to say the least – perhaps controlled rage would be a fairer description – Employee Assistance Programmes being seen as ‘immoral’ and ‘against the ethos of counselling itself’, and time-limited work as very much a second-class option. Although I have been involved in many interesting and healthy conversations about the advantages and disadvantages of EAPs and time-limited counselling, I have never faced such a powerful response before. Having been a little shaken by the conversation I went away wondering why such comments should have taken me aback – after all I am used to heated debates. After a period of reflection I realised my discomfort came from being seen as a kind of paid ‘lackey’ naively working for an immoral system. 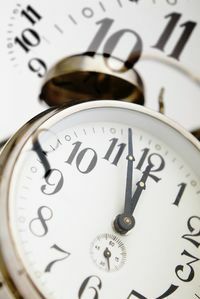 I believe time-limited work can offer just as much opportunity for change as long-term work and is not the soft option. Many people benefit from using small amounts of counselling throughout their lives. Some people may experience only one life crisis which can benefit from short-term work. Like so many other forms of counselling, much depends on the motivation of the client. A counsellor may see many years of therapy ahead whilst the client would be happy to change only one or two aspects of her life. I wonder how many of us are as skilled as we would like to be when it comes to offering the minimum intervention. 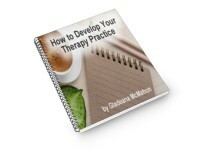 Therapy is not an end in itself but a means of helping people live in the real world. I do not believe it is an either/or situation between long- and short-term counselling but rather a respect for what both forms of counselling can offer.